In a SHTF scenario when you and your family have to bug out or even in the event you have to bug in for an extended length of time, personal hygiene is going to be more important than you think. After several days of hiking through mud and fighting off bugs to get to your bug out location, you and your family will want to get cleaned up. Even if your plan is to hunker down at home, your initial supply of dish soap, laundry soap, and bar soap will run out after several weeks. There will be dishes, eating utensils, pots and pans, and clothes to wash. 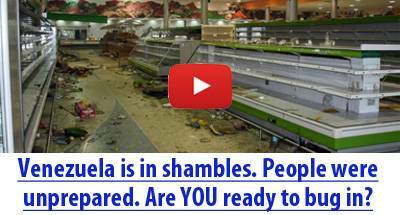 The longer the SHTF event, the more important the attitude and morale level of your family. Much of survival is about persistence and not giving up. Having to go weeks without a shower or clean clothes can really mess with your head and be depressing. At some point, you will need to make handmade soap, not only for washing dishes and cleaning hunting equipment to prevent illness, but also for personal cleanliness to boost morale. The main ingredient for making handmade soap is Sodium Hydroxide (NaOH) known as lye. It can be purchased or created by filtering water through white ash. The other two ingredients are animal fat or a type of oil, and water. In a bug out scenario, you can use any meat scraps or drippings for the fat. This means the grease after that bacon you cooked for breakfast or the drippings from the rabbit you cooked over the fire can be saved and used for soap making. Any meat scraps must be rendered before using, especially for soap to be used on the body. Boil the meat scraps, let cool, and then skim the layer of fat from the top to use. Rendering your meat scraps prevents any chance of meat bits going rancid during the soap making process. The cleaner your animal fat, the purer your soap will be. You can repeat the boiling and cooling process several times if needed. As an alternative to meat scraps, you can use coconut oil or sunflower oil or any type of vegetable oil that you may have on hand. Chances are you won’t have lye among your bug out preps and even for those who bug in, lye may not be something you thought to stock up, but no worries, lye can be leeched from white ashes. White ashes are made by burning a very hot fire. Wood ash from palm, oak, hickory, beech, and apple trees are some of the best to use but even ashes from seaweed or dried out banana peels will work in a pinch. Soft water such as rainwater or natural spring water is better for soap making as it is free of any acidic or metallic chemicals. Distilled water will work if you have it on hand, but is probably better kept for drinking water. River water or well water will suffice but for the soap to harden you will need to add baking soda or salt during the process or boil the lye water longer resulting in a smaller batch of soap. To create lye water, you must first leech the potash (potassium based alkai) from the ashes. Poke a couple holes in the bottom of a container and fill the bottom with one inch of filter material. Sand, gravel, and straw are ideal but any similar material will work. Fill the remainder of the container with the cooled white ashes. Put a second container beneath the first to catch the lye water as it filters out. Slowly filter water approximately a gallon of water through the ashes to create your lye water. Do not allow the ashes to float. If you find you need to strengthen your lye water, collect new ashes and filter the water through new ashes and collect the run off. To weaken it, add more water. It’s crucial to get the right strength of lye water. If a feather begins to dissolve when dropped into your lye solution, then it’s ready. Boil until about ½ the water evaporates. Frothing or small bubbles while boiling is normal. Let cool to 110-120 degrees. Keep in mind that animal fat can spoil quickly and will ruin your soap. The rendering process filters the fat into a purer form. Add small pieces of meat scraps or lard in a cooking container using equal parts fat to equal parts water. Boil over the fire until everything has melted together. Remove from the heat, add the water that boiled off and let it cool until a layer of fat forms on top of the container, typically overnight. Once cool, scrape the layer of fat from the top, discard the little bits of meat and water and return the fat chunks to the fire with equal parts fresh water. Repeat the process as needed. Boil for 30 minutes until everything melts together stirring occasionally with a rubber or silicone spatula. When soap “traces” which means you can drip some liquid from the spoon and back into the mix and it stays there a couple seconds before sinking your soap is ready. *Quickly add any essential oil or herbs if you want a scent. If you aren’t one to keep essential oils on hand, you may be able to find plants such as lavender or peppermint in the woods. *Oatmeal can make soap more soothing to the skin. Castor oil will increase amount of lather in your soap. Olive oil, if available, will give moisturizing properties to your soap which can be important in a bug out situation if you spend long periods in the sun. *If your preps include cocoa powder (brown) or any spices such as turmeric (yellow), oregano (pale green), or paprika (pale pink) you can use these to add some color to your handmade soap. Grease molds with vegetable shortening or line with wax paper to make it easier to remove hardened soap. Pour into a wooden mold, cardboard milk or juice carton and let cool. Cut into pieces using a wire or fine cord once hard. 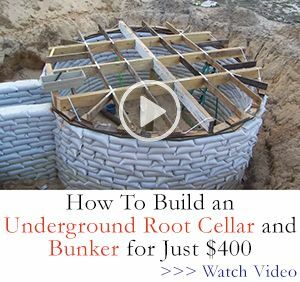 Lay flat in well-ventilated area for 10-14 days. Use white vinegar to neutralize lye prior to washing soap making equipment and containers or you will be scrubbing forever and could damage your hands. If you don’t have white vinegar on hand, an alternative is to let containers and equipment sit for several days before washing normally. 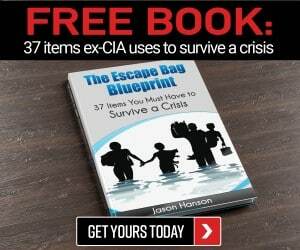 *Steps 3-5 are optional of course and dependent on what you may have on hand in a SHTF scenario. The wrong balance of lye can in your soap is can be disastrous. Check strength of lye water with a feather as detailed above or float an egg or potato. If more than a quarter size area floats above the water, the solution is too strong. While mixing lye with water, it will heat and give off fumes for approximately 30 seconds. These fumes may irritate your throat and/or cause a choking feeling. Make sure to work outside or in a well-ventilated area and avoid breathing fumes. Do not use aluminum, tin, copper, Teflon or plastic pots and pans for soap making because the lye reacts with those materials. Stainless steel, enamel, Pyrex, or even cast iron pots work best. It’s best to use completely separate containers for soap making than those for cooking and eating food. While cleaning them is possible, it’s best not to risk poisoning yourself or family. Also lye water and “green soap” or soap that has just been poured into molds can be caustic to your hands so handle carefully for at least 48 hours. Clearly mark lye water, store in a closed container, and keep out of reach from animals and children. Do not use paints, food dyes, melted crayons or candle dyes for adding color to your soap. Always wear protective gear such as long sleeved shirt, long pants, glasses, and rubber gloves. Make sure to wear shoes or boots and work away from children and pets. 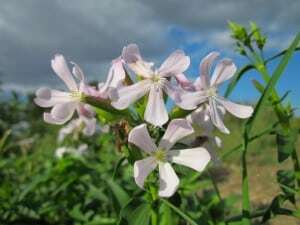 If you live or are planning to bug out to a location within the United States, you can also look for the Soapwort plant. There are two types of Soapwort, Bouncing Bet and Rock Soapwort, both can be found in most of the zones throughout the U.S. It grows in damper soil in the woods or near streams. Simply boil cut leaves and stems in water to extract juice and create soapy liquid. 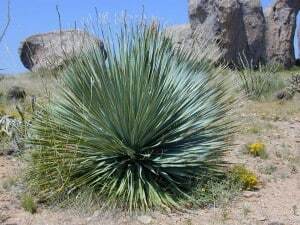 For Southwestern preppers or travelers, the root of a Yucca plant produces a quick and easy soap. Cut root into chunks and pound with rock or hammer. Add a small amount of water and squeeze the pulp to create a liquid mushy lather that gets the job done and is said to be especially good as a shampoo. It’s easy to make soap beside a stream or creek during an overnight stop if Yucca is available. 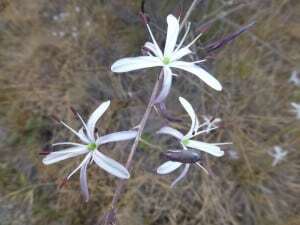 The soap lily is found most often in California. The outer covering of this bulbous plant can be stripped off and the bulb grated for use as soap flakes. It is often found on dry plains and hills or sometimes in the woods. This native plant of Southern Europe has seeds rich in saponins. When its seeds are rubbed between your hands with a little rainwater or spring water, it produces a decent amount of lather. 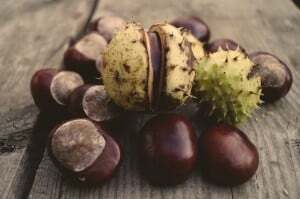 The horse chestnut smell does linger awhile but it is a workable cleaner. No matter what you’re TEOTWAWKI plan, whether bug out or bug in, the ability to make your own handmade soap will definitely come in handy at some point. Still skeptical? Try a no soap practice drill for 1 week in your home. No dish soap, no laundry soap, no bar soap or shampoo. I guarantee by the end of the week you and your family will be so grateful to be able to wash up and put on clean clothes. Add some of the ingredients and safety items mentioned above to your preps now so you can boost morale and prevent illness for your family with handmade soap during future disasters. Keeping in mind that 1 is none and 2 is one, be sure to check your yard and/or bug out location, what kind of trees or plants do you have nearby that can be used for making soap if needed? Disclaimer: This author is not an expert. Every effort has been made to ensure accurate information, however all details provided in this article are for informational purposes only. Consultation of a professional and independent research is required prior to implementing any of the provided information for the first time. Warning: The use of lye in soap making is dangerous and can result in fire and even explosion if not done correctly. The process of making soap should only be conducted in an adequately ventilated area while wearing protective glasses and gloves. Lye is caustic and can burn your skin upon contact and is fatal if swallowed. Incorrect identification of lye water can be fatal because it looks just like water so it must be labeled and stored away from children and pets. 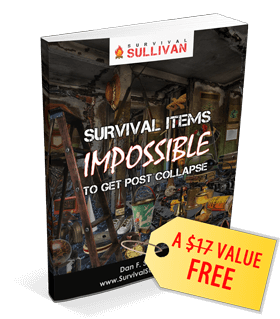 For this reason, the author and ‘survivalsullivan.com’ disclaim any and all responsibility and liability resulting from dependence on this material by readers and visitors to ‘survivalsullivan.com’ or any individual or entity with whom its contents might be shared or distributed. Do you use this same process for dish and laundry soap?